£100 million for renewable energy projects in Africa to provide electricity to 2.4 million people a year; Developers of small-scale solar, wind, hydro and geothermal projects will be supported to harness each country’s natural resources. “…Hundreds of thousands of people in sub-Saharan Africa will get access to electricity for the first time thanks to an extra £100 million of funding from the UK government…The new investment triples funds for the Renewable Energy Performance Platform (REPP), to support up to 40 more renewable energy projects over the next 5 years. The new funding could unlock an extra £156 million of private finance into renewable energy markets in Africa by 2023…Developers of small-scale solar, wind, hydro and geothermal projects will be supported to harness each country’s natural resources, and the electricity generated is expected to provide 2.4 million people a year with new or improved access to clean energy. 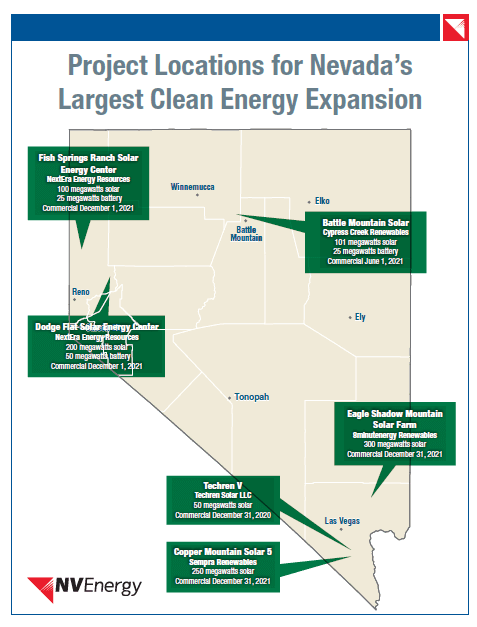 Warren Buffett trades for six solar plants, retiring a coal unit; Nevada regulators have approved six contracts for 1 GWac of solar power coupled with 100 MW / 400 MWh of energy storage. The purchase allows for the retirement of one of the state’s two running coal units. Projected US renewables could accelerate power price volatility — what can grid operators do? 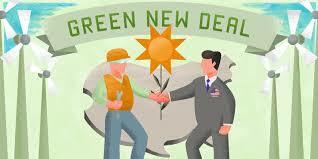 It will take a renewables-friendly grid and grid-friendly renewables to keep markets flowing. 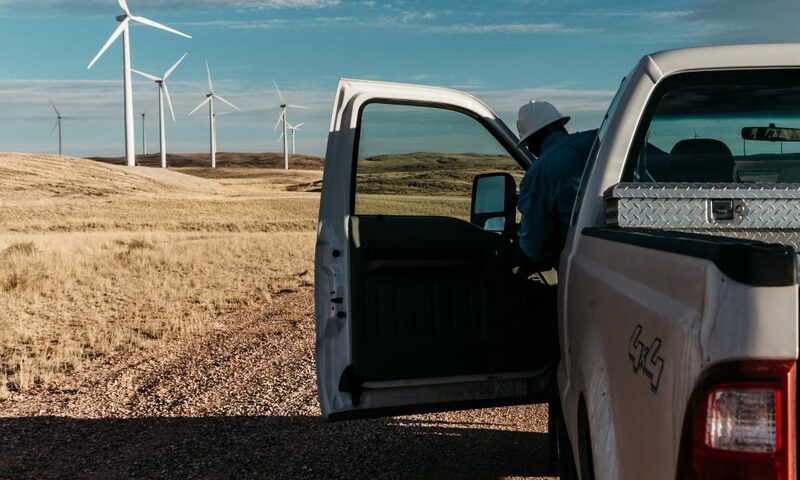 Editor’s note: The research described here and the curtailment it describes are the focus of increasing attention by grid operators and policy solutions are beginning to emerge. 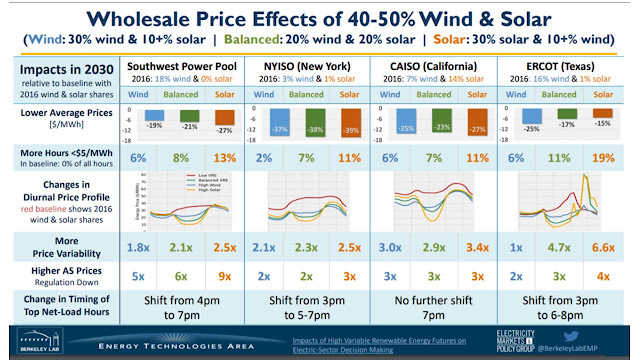 New forecasts say the high penetrations of renewables coming onto the U.S. power system by 2030 could accelerate recent isolated instances of negative and spiking prices in wholesale markets. Research from Lawrence Berkeley National Laboratory (LBNL) shows higher renewables penetrations could cause these supply-demand imbalances more frequently, imposing instability in power markets. 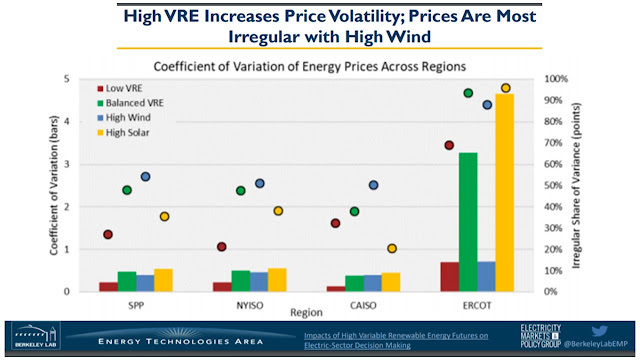 If this growth pattern continues, as many expect it will, grid operators and renewables developers will need to act to neutralize price volatility by making the electric power system more flexible, the LBNL researchers reported. 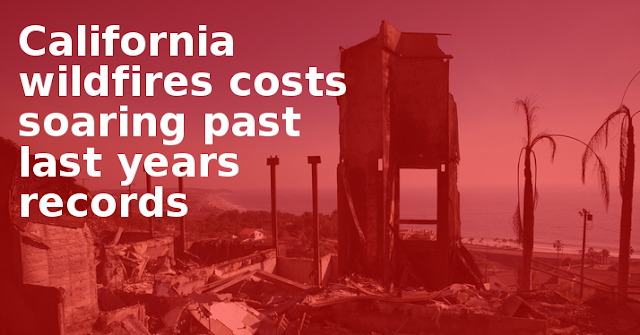 Utility bankruptcy concerns rise as bill comes due for 2017 California fires; Some 394 wildfires at the end of 2017 could cost California’s IOUs tens of billions, but there are ways to mitigate the financial impact. 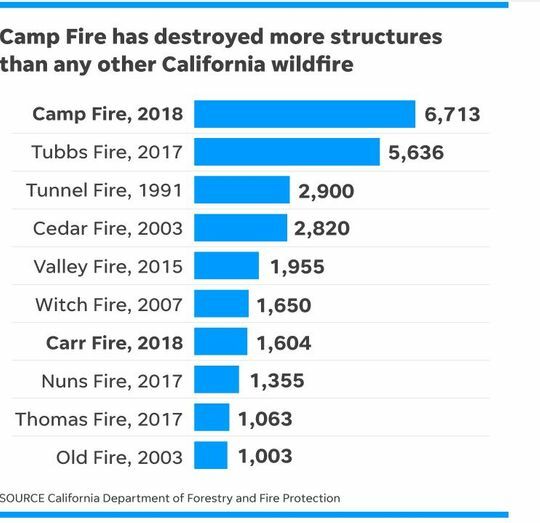 Editor’s note: The change in the law described here was not enacted, making the proposed financial solutions more important after the 2018 fires hammered more nails in the IUOs’ coffins. Kids, it’s time to give your parents 'the talk.' Not that one, the one on climate change; Confronting your family and leaving them upset is not the goal. Keep it positive, and you might be surprised by what happens next. 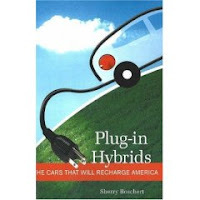 Clean energy technologies threaten to overwhelm the grid. 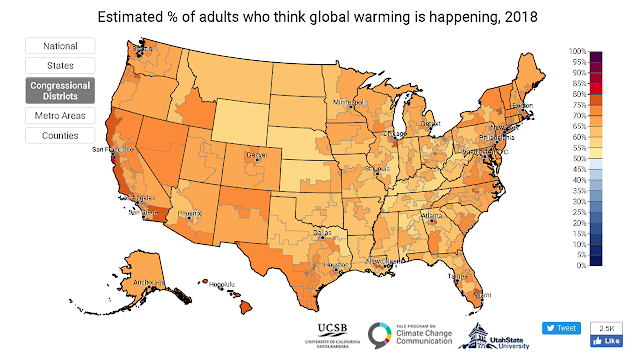 Here’s how it can adapt.The centralized, top-down power grid is outdated. Time for a bottom-up redesign. 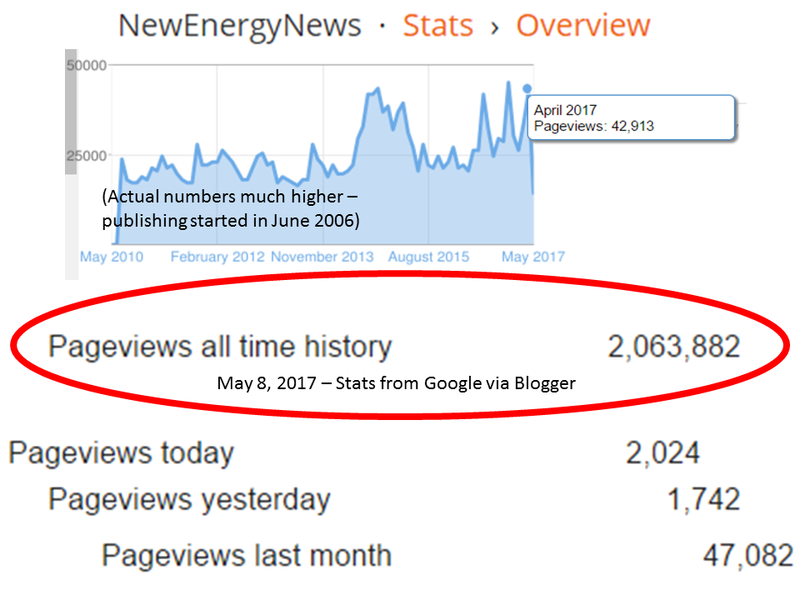 As distributed solar expands, can utility system planning keep up? Distributed solar forecasting costs vary, but "completely neglecting it can be very expensive." 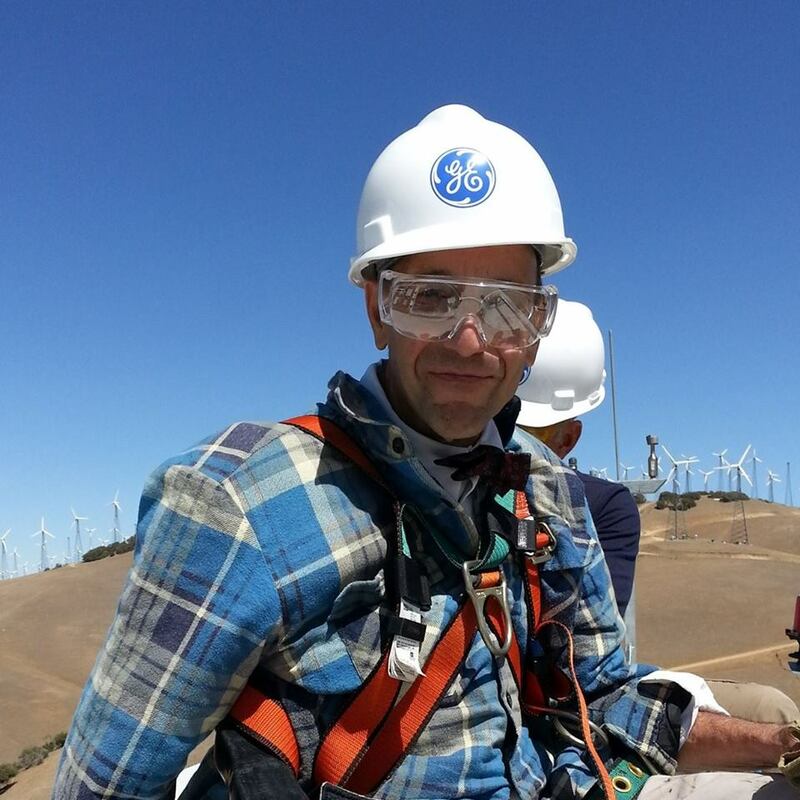 Editor’s note: More regulatory effort is now going into preparing utility systems for the inevitable high penetrations of distributed energy resources. With the rise of distributed energy resources, distribution system planning is getting harder for utilities, but the cost of not doing it is also growing. No more than a decade ago, planning was a matter of historical loads, load growth forecasts, and proposals to build new central station generation when it was needed. 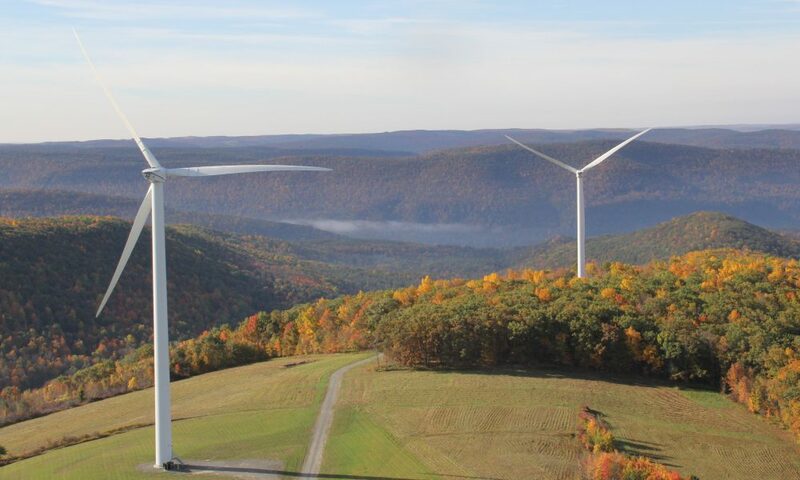 Now, system planners face an emerging dynamic environment in which traditional generation is becoming less cost-competitive and integrating variable utility-scale renewables into the grid can be challenging. Complicating matters, more uncertainty is coming over the next 10-year to 20-year planning horizon. Portfolios of renewables and distributed energy resources (DER) are expected to become the most cost-effective supply option. 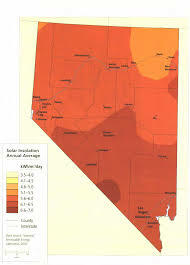 DER will be owned by customers or controlled by private providers and challenging to forecast or plan around. 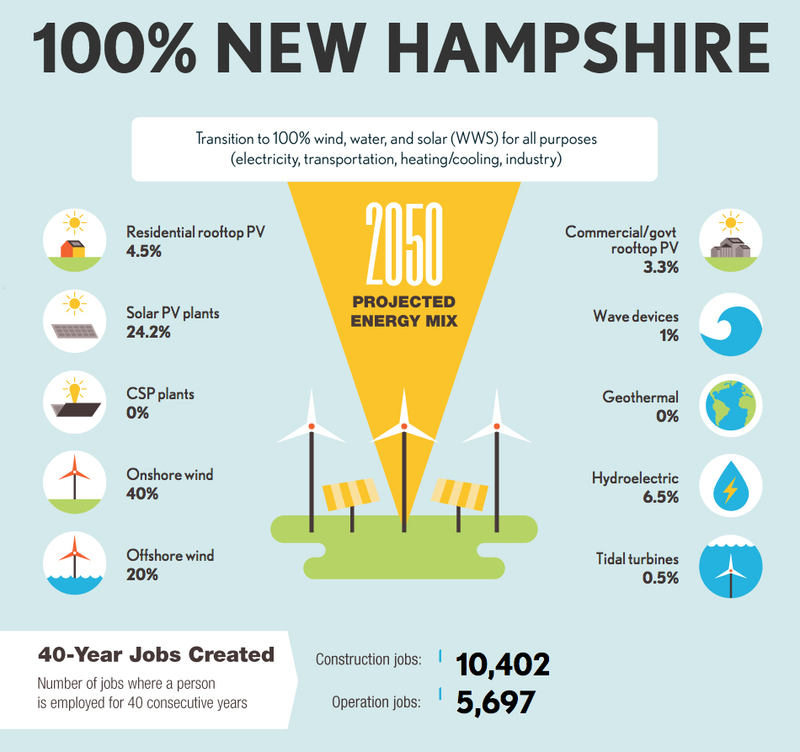 Is New Hampshire on the verge of battery energy storage history? The only question left to be settled is a big one: Should utilities own behind-the-meter batteries? 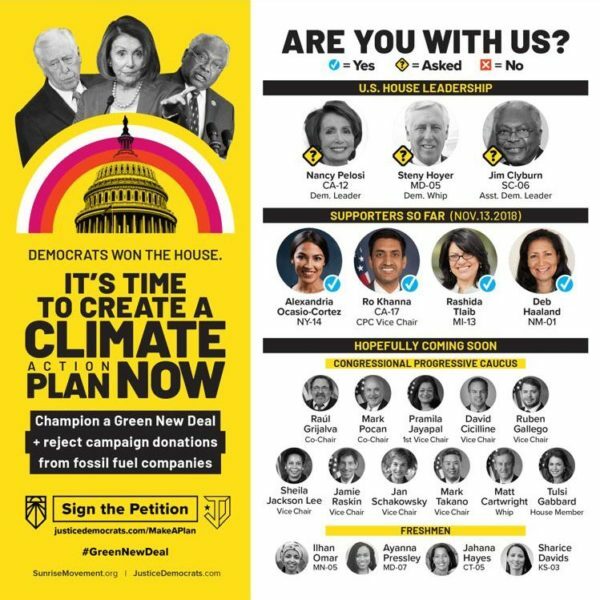 Editor’s note: It took months of negotiations but a pilot was finally approved that offers a role for the utility and a role for the private sector. It will likely be a template for bigger states and bigger battery builds across the country. 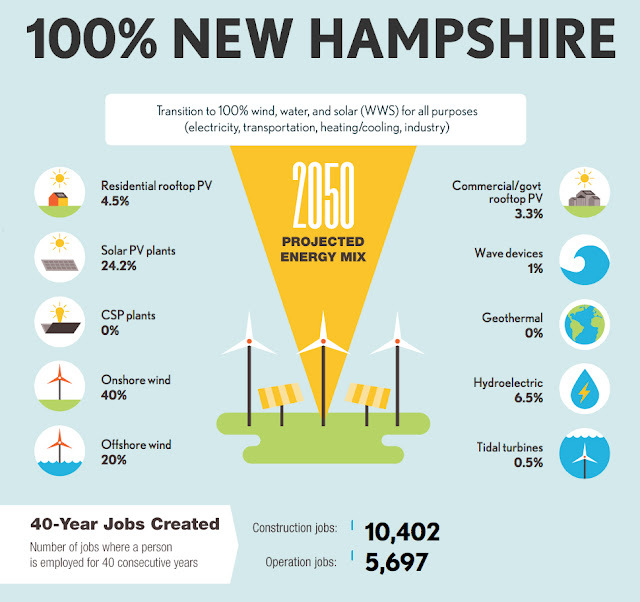 New Hampshire will soon roll out one of the most ambitious U.S. tests yet of utility-owned, customer-sited battery energy storage systems after regulators and stakeholders in the DE 17-189 proceeding are settled a question of vital interest to the rest of the 3,000-plus U.S. utilities: Should a utility own customer-sited storage or is it a distributed energy resource (DER) that should be left to private sector providers? 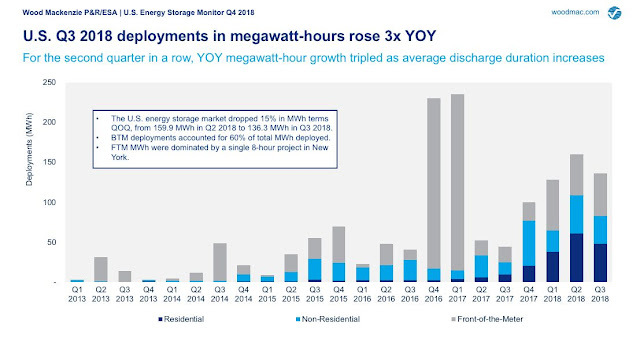 Utilities have already seen the benefits that large-scale battery energy storage offers in shaving peak demand, providing grid services, and making systems more flexible. There is a clear opportunity to use customer-sited battery storage in the same way. But the question of how far utilities can intrude into markets so far served by private sector vendors must first be answered. 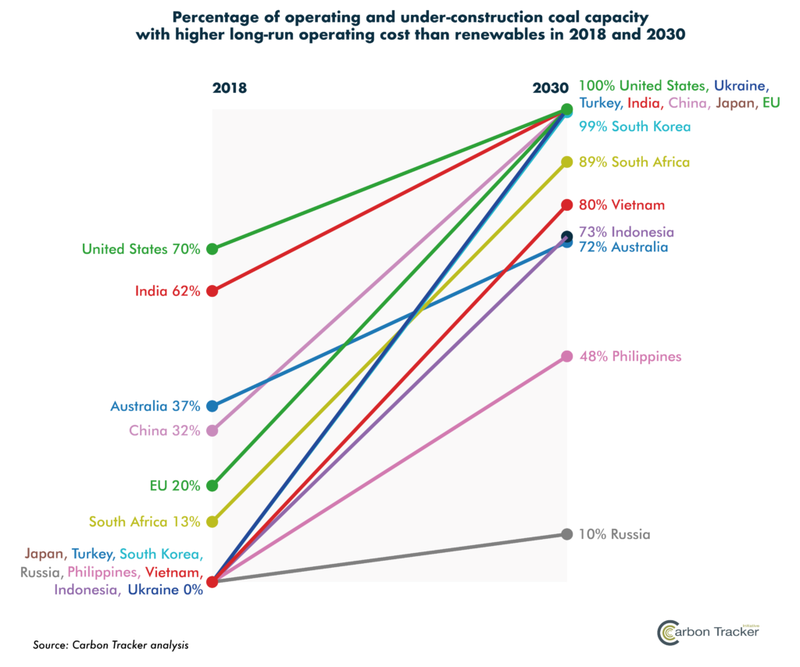 This report presents the results of Carbon Tracker’s coal power economics portal, an online tool that tracks the economic and financial risks of coal power at the assetlevel throughout the world. The portal covers 6,685 coal units which represent ~95% (1,900 GW) of global operating capacity and ~90% (220 GW) of capacity under-construction. The portal provides current and forward-looking estimates of the (short and long-run) operating cost, gross profitability, relative competitiveness, phase-out year and stranded asset risk in a below 2°C scenario. 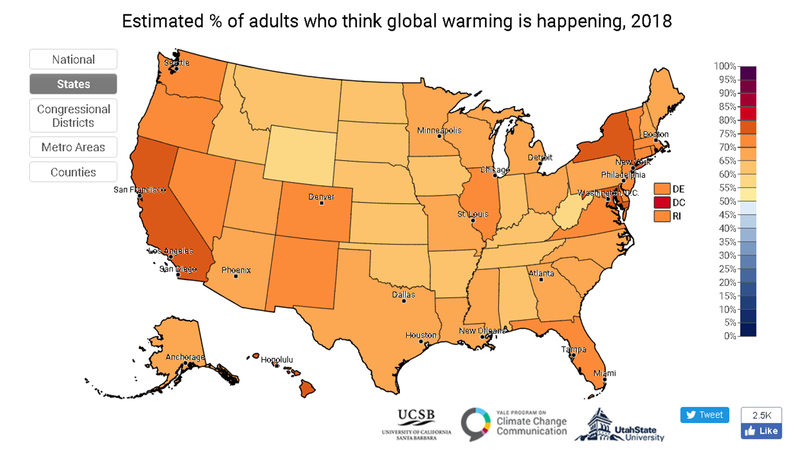 Access to our portal and methodology document is available at www.carbontracker.com/reports/coalportal. 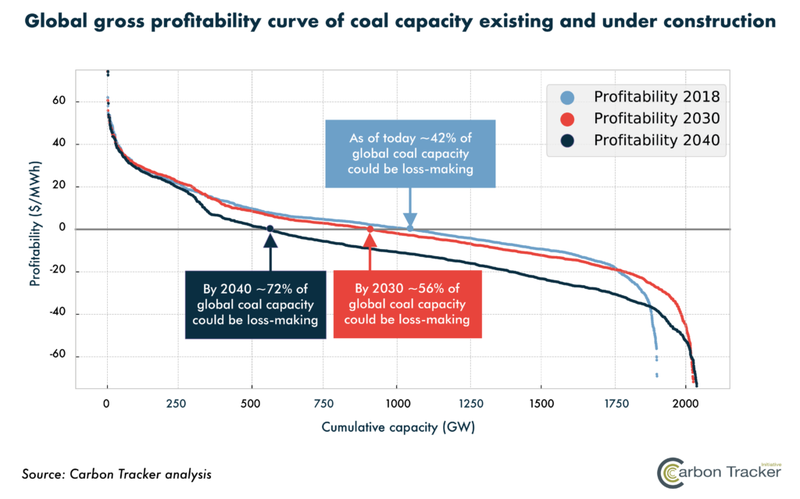 Where profitability is defined as revenues minus long-run operating costs, our analysis finds that due to high fuel costs 42% of coal capacity operating today could be losing money. 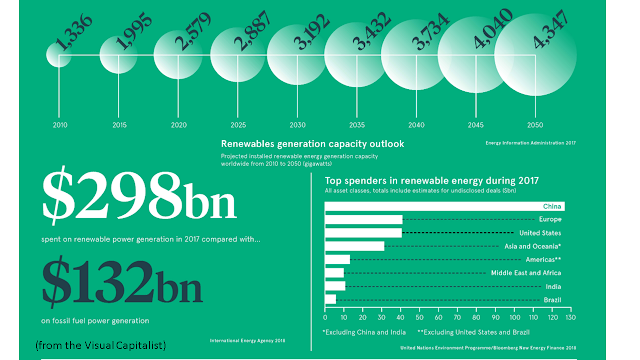 From 2019 onwards, we expect a combination of renewable energy costs, air pollution regulation and carbon pricing to result in further cost pressures and make 72% of the fleet cashflow negative by 2040. This scenario assumes fuel costs will fall over 10% (on average) after 2018 and only includes existing climate and air pollution policies. This will likely prove too conservative, especially due to the continued politicisation of air pollution. n liberalised markets where power generators are subject to competition, coal capacity will be forced to shut if outof-market payments cannot be secured or environmental regulations are not reduced or delayed. In regulated markets where governments typically approve and pass on the cost of generation to consumers, politicians have four options: close highcost coal, subsidise coal generation, increase power prices to make coal viable, or subsidise power prices. Over the long-term coal power will become a netliability and those politicians in regulated markets who remain wedded to high-cost coal will be forced to choose between subsidising coal generation and power prices (which will impact the fiscal health of the state) or increase power prices (which will hurt consumers and undermine competitiveness). There are three economic inflection points that policymakers and investors need to track to provide the least-cost power and avoid stranded assets: when new renewables and gas outcompete new coal; when new renewables and gas outcompete operating existing coal; and when new firm (or dispatchable) renewables and gas outcompete operating existing coal. Regarding the first inflection point, by 2025 at the latest, renewables will beat coal in all markets. 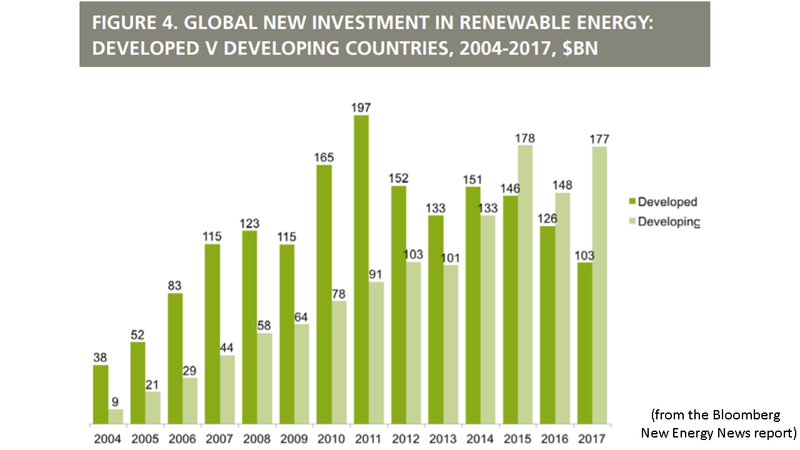 This estimate will likely prove too conservative as policymakers introduce transparent auctions which will intensify the deflationary trend of renewables in emerging markets. 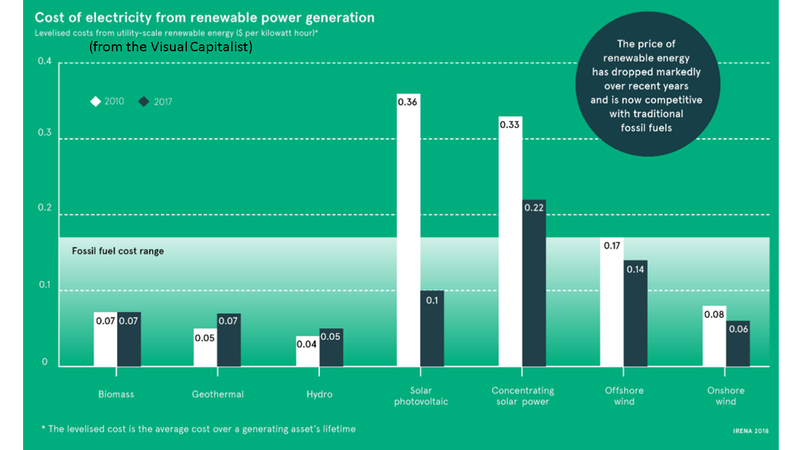 The second inflection point is where coal will face an existential crisis, as originators in liberalised markets will arbitrage the delta between the wholesale power price (which is typically set by dispatchable gas and coal generators) and the cost of new investments in renewable energy. 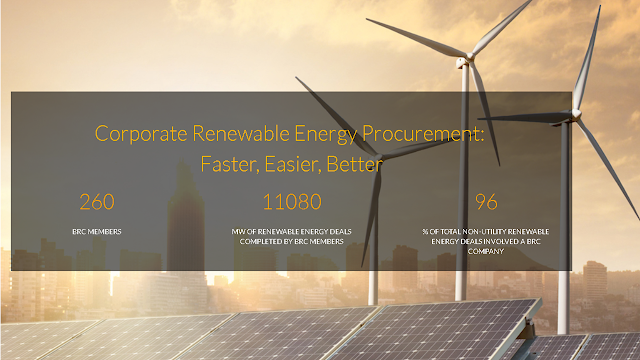 Our analysis shows that as of today 35% of capacity could have a higher operating cost than new renewables and this may increase to 96% by 2030. This disruptive dynamic is problematic for policymakers who focus on the all-in cost for the end consumer. Inflection point three is clearly outside the scope of this analysis and will likely form part of future research with local partners. The challenge for policymakers at this point is no longer whether renewable energy will be the leastcost option, but rather how to integrate wind and solar to maximise system value. 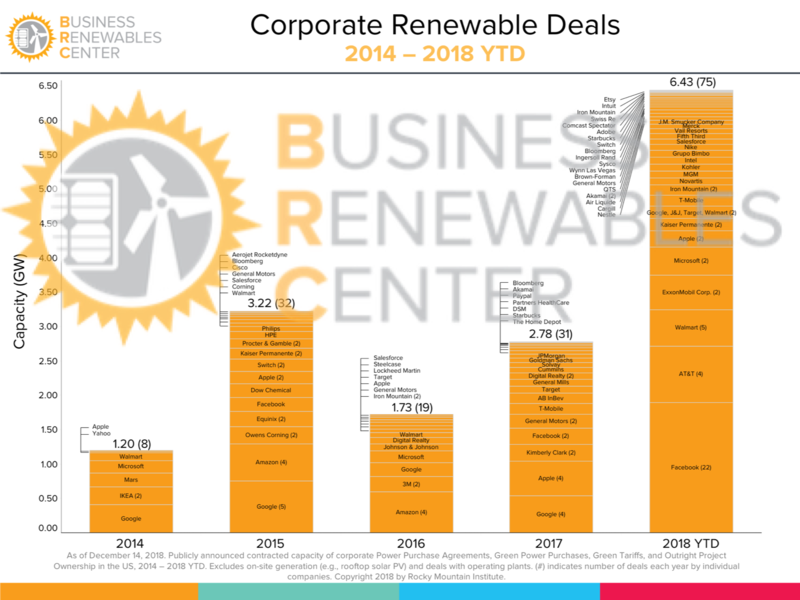 We define stranded asset risk as the difference between cash flows in a business-as-usual (BAU) scenario (which acknowledges existing and ratified air pollution and carbon pricing policies as well as announced retirements in company reports) and cash flows in a below 2°C scenario (which sees coal power phased-out globally by 2040). 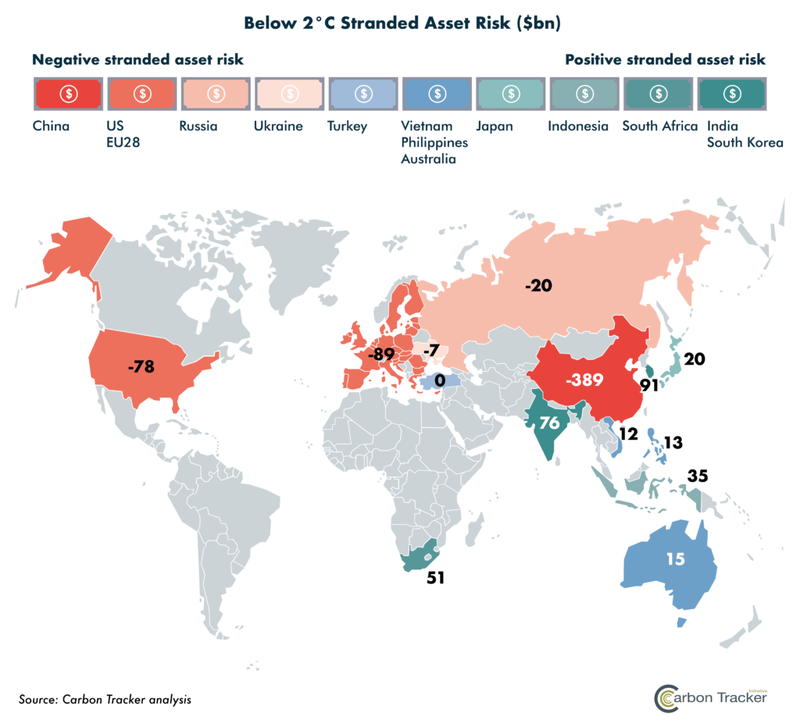 A positive stranded asset risk value means, based on existing market structures, investors and governments could lose money in the below 2°C scenario as coal capacity is cash-flow positive. A negative stranded asset risk figure means, based on existing market structures, investors and governments could avoid losses in the 2°C scenario as coal capacity is cash-flow negative. Our below 2°C scenario finds around -$267bn of stranded asset risk globally. In our business-as-usual scenario, major coal markets such as China, the US and the EU become ever more cashflow negative and thus stranded asset risk is negative. 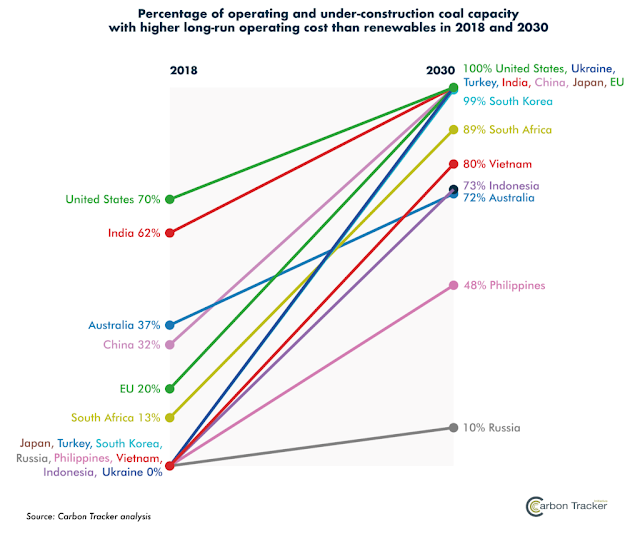 This more than offsets those regions where risk is positive, meaning the premature closure of coal consistent with the Paris Agreement is the least-cost option compared to our BAU scenario. 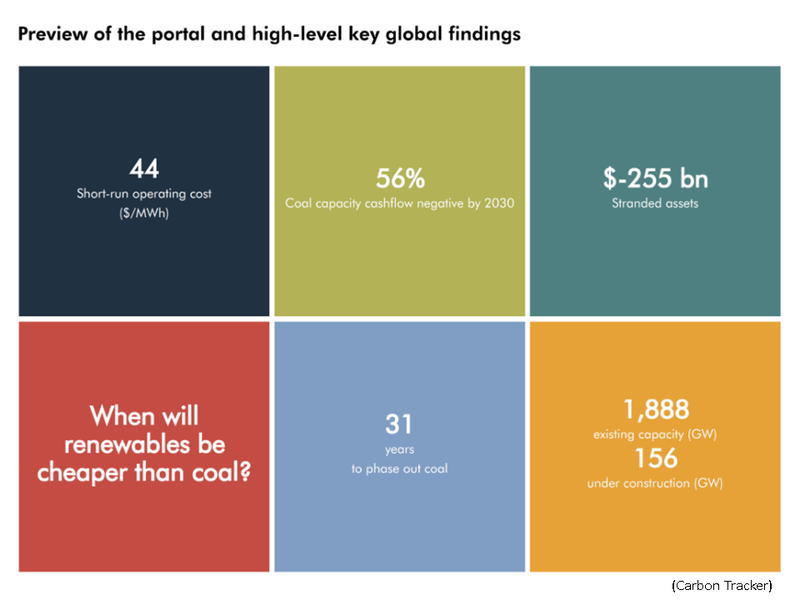 This analysis highlights a power sector mega trend: with or without climate policy coal power is increasingly a high-cost option. According to our analysis, 90% of operating and under construction capacity is either regulated or semi-regulated. 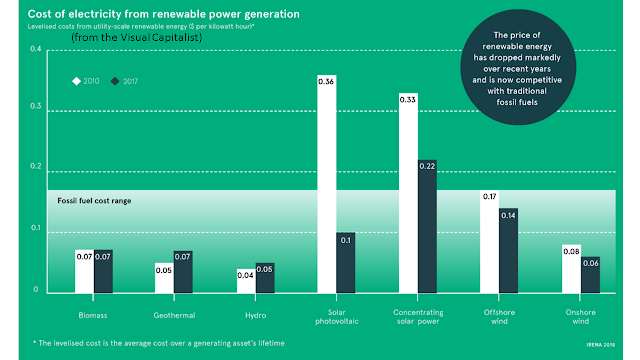 In both liberalised and regulated markets, the economics of power generation will continue to change much more quickly than expected and in favour of low-carbon technologies. This transition will expose governments and investors – both equity and debt – to material financial risk. Equally, governments and investors have opportunities to be agents of change and to ensure an ordered transition. 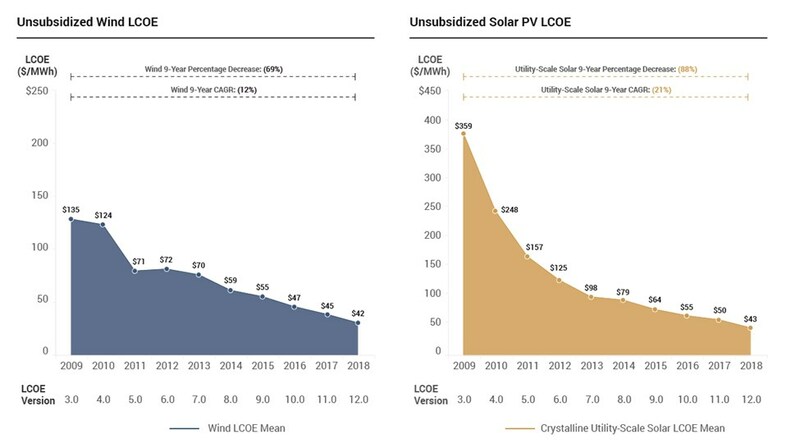 Regardless of the market structure, the continued downward trend for the costs of renewable energy will strengthen policymakers’ ability to provide consumers access to secure, affordable, and clean energy. 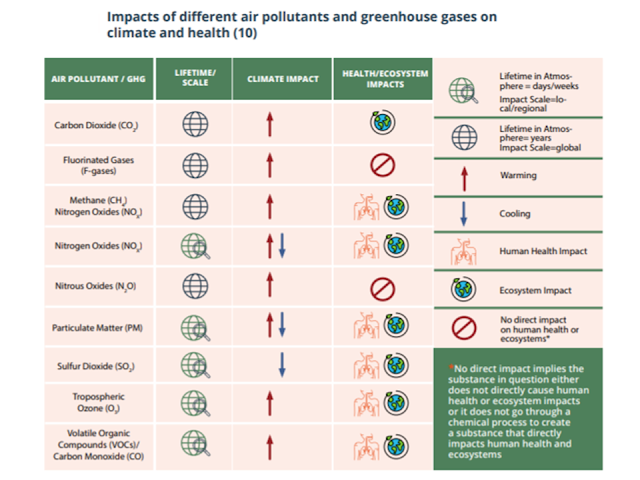 This is particularly important for those countries who face the challenge of stimulating economic development while reducing air pollution. Moreover, commitments to renewable power over the long-term will better position governments to attract the business of multinational corporations who have already begun to gravitate towards guarantors of renewable energy supply. Policymakers in regulated markets will be more acutely conscious than those in liberalised markets of the financial risks that will materialise from a commitment to coal power, which over the long-term will become a net-liability. Governments will be forced to choose between subsidising coal generation and power prices (which will impact the fiscal health of the state) or increasing power prices (which will anger consumers and undermine competitiveness). The impact upon – and role for – investors also differs depending upon the market context. In liberalised markets, utility shareholders are highly exposed to the kind of market volatility that has plagued European utilities’ transition. Coal-heavy utilities in liberalised markets are at a strategic crossroads: continue to reinvest in existing coal capacity and hope governments ignore the overwhelming energy market trends and approve subsidies in the form of capacity and retirement payments; or divest and prepare for a low carbon future. 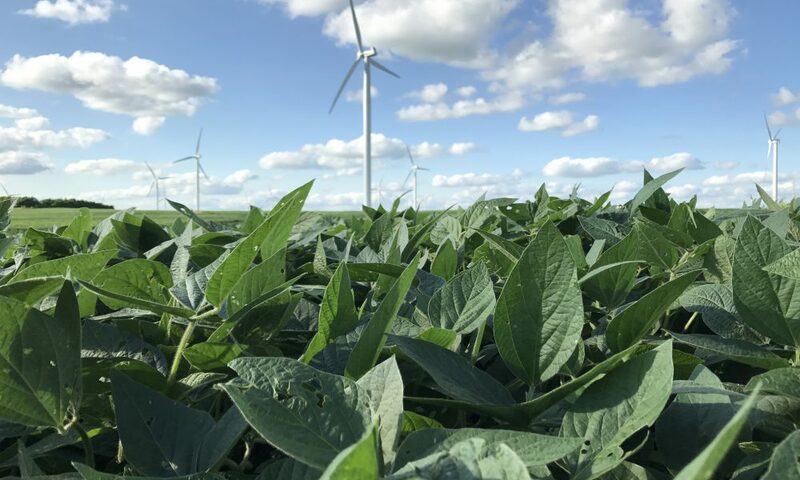 Equity and bond investors of companies in regulated markets will also need to consider the extent to which they are insulated from cheap renewable power. The orderliness of the transition away from coal power rests on policymaker and investors’ willingness to prepare. In this regard, the establishment of the Powering Past Coal Alliance offers a mechanism for government and finance to work collectively. Utility investors, particularly those operating in liberalised markets, can play a critical role in engaging with their portfolio of companies. 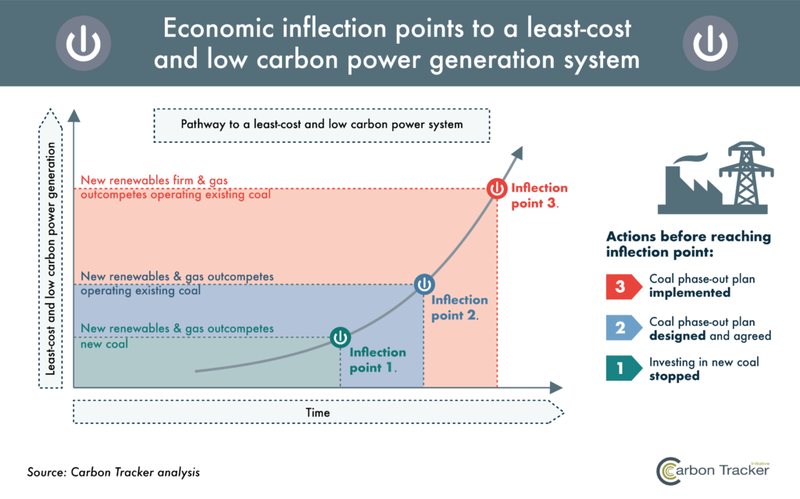 However, power markets are political constructs and, as such, governments will need to plan well ahead of time as low-carbon technologies accelerate through the three inflection points on their way to providing electricity. The findings of this report are based on our coal power economics portal which is the product of a two-year modelling effort. 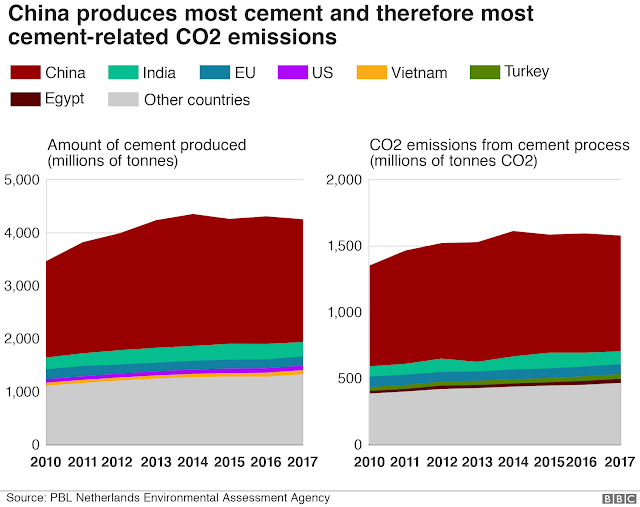 This is the first time anyone has attempted global coverage of coal power at asset-level. 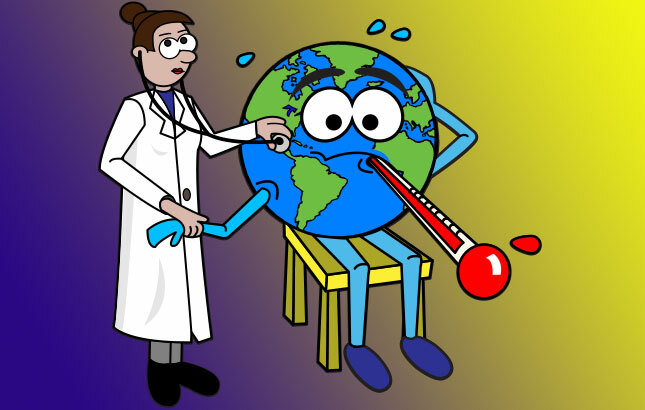 While every effort was made to model capacity as comprehensively as possible, data and model anomalies are an inevitable result of the scale and scope of this project. Our objective here is simple: move first and iterate constantly. Future versions will include more accurate and comprehensive data and modelling as we undertake bespoke research in collaboration with our local partners. 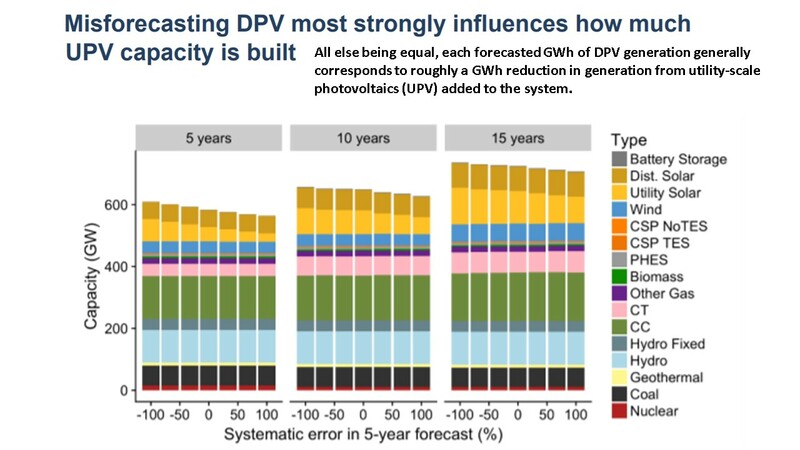 Floating solar photovoltaic (PV) installations open up new opportunities for scaling up solar generating capacity, especially in countries with high population density and competing uses for available land. They have certain advantages over land-based systems, including utilization of existing electricity transmission infrastructure at hydropower sites, close proximity to demand centers (in the case of water supply reservoirs), and improved energy yield thanks to the cooling effects of water and the decreased presence of dust. 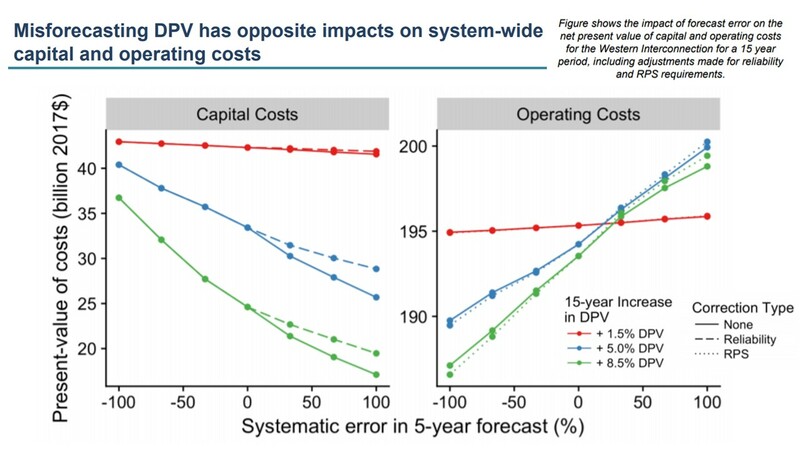 The exact magnitude of these performance advantages has yet to be confirmed by larger installations, across multiple geographies, and over time, but in many cases they may outweigh any increase in capital cost. 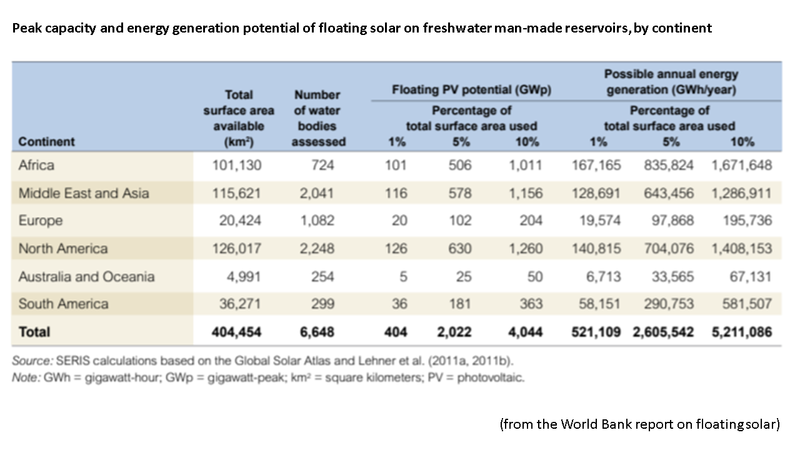 The possibility of adding floating solar capacity to existing hydropower plants is of particular interest, especially in the case of large hydropower sites that can be flexibly operated. 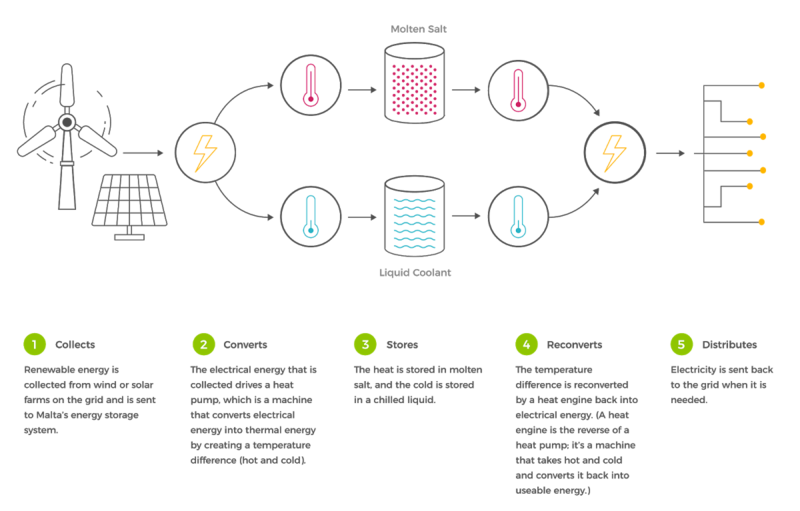 The solar capacity can be used to boost the energy yield of such assets and may also help to manage periods of low water availability by allowing the hydropower plant to operate in “peaking” rather than “baseload” mode. 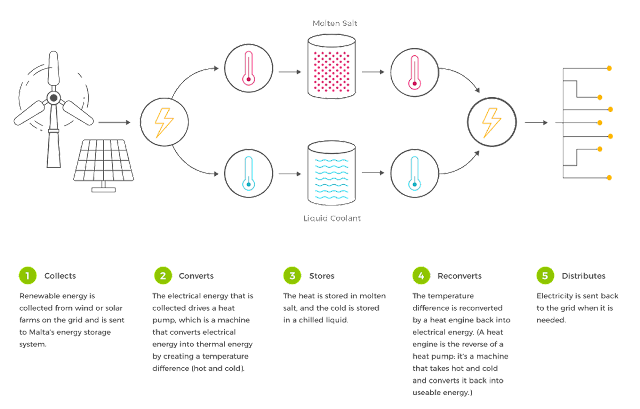 And the benefits go both ways: hydropower can smooth variable solar output by operating in a “load-following” mode. Floating solar may therefore be of particular interest where grids are weak, such as in Sub-Saharan Africa and parts of developing Asia. • Easy installation and deployment in sites with low anchoring and mooring requirements, with a high degree of modularity, leading to faster installations. 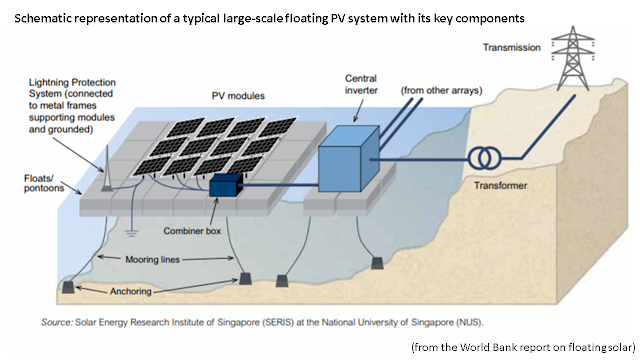 The general layout of a floating PV system is similar to that of a land-based PV system, other than the fact that the PV arrays and often the inverters are mounted on a floating platform (figure 1). The direct current (DC) electricity generated by PV modules is gathered by combiner boxes and converted to alternating current (AC) by inverters. For small-scale floating plants close to shore, it is possible to place the inverters on land— that is, just a short distance from the array. Otherwise, both central or string inverters on specially designed floats are typically used. The platform, together with its anchoring and mooring system, is an integral part of any floating PV installation. Currently most large-scale floating PV plants are deployed using pontoon-type floats, with PV panels mounted at a fixed tilt angle. Typically, the floating structure can be made of so-called pure floats or floats that are combined with metal trusses (figure 2). A pure float configuration uses specially designed self-buoyant bodies to which PV panels can be directly affixed. This configuration is the most common. 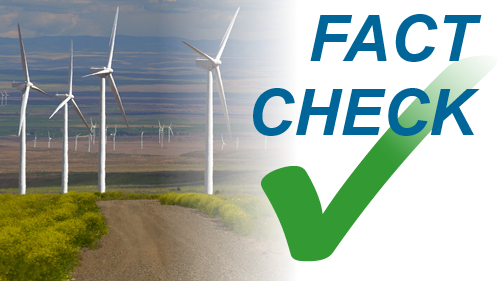 It is available from several suppliers and claims an installed capacity worldwide of several hundred megawatts. Another type of design uses metal structures to support PV panels in a manner similar to land-based systems. These structures are fixed to pontoons whose only function is to provide buoyancy. In this case, there is no need for specially designed floats. The floating platform is held in place by an anchoring and mooring system, the design of which depends on factors such as wind load, float type, water depth, and variability in the water level. The floating platform can generally be anchored to a bank, to the bottom, to piles, or to a combination of the three. The developer selects a design suitable to the platform’s location, bathymetry (water profile and depth), soil conditions, and variation in water level. Bank anchoring is particularly suitable for small and shallow ponds, but most floating installations are anchored to the bottom. Regardless of the method, the anchor needs to be designed so as to keep the installation in place for 25 years or more. Mooring lines need to be properly selected to accommodate ambient stresses and variations in water level. 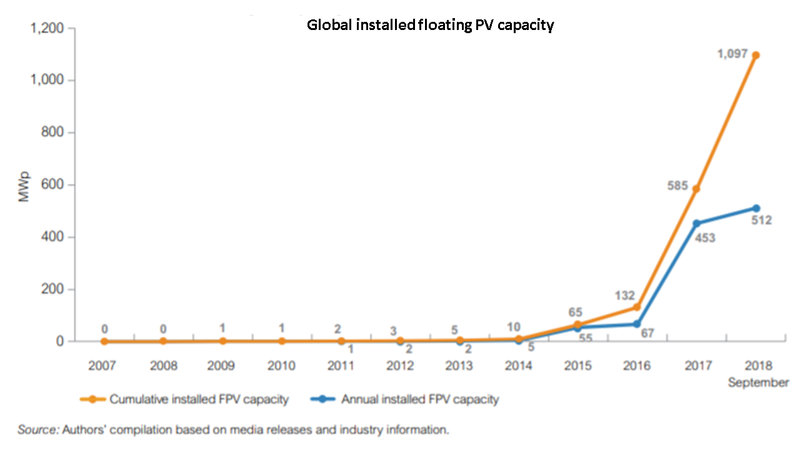 The first floating PV system was built in 2007 in Aichi, Japan, followed by several other countries, including France, Italy, the Republic of Korea, Spain, and the United States…Medium-to-large floating installations (larger than 1 MWp) began to emerge in 2013. 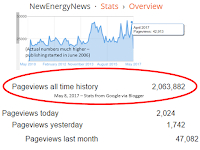 After an initial wave of deployment concentrated in Japan, Korea, and the United States, the floating solar market spread to China (now the largest player), Australia, Brazil, Canada, France, India, Indonesia, Israel, Italy, Malaysia, Maldives, the Netherlands, Norway, Panama, Portugal, Singapore, Spain, Sweden, Sri Lanka, Switzerland, Taiwan, Thailand, Tunisia, Turkey, the United Kingdom, and Vietnam. Projects are under consideration or development in Afghanistan, Azerbaijan, Colombia, Ghana, and the Kyrgyz Republic, as well as other countries. Recently, plants with capacity of tens and even hundreds of megawatts have been installed in China; more are planned in India and Southeast Asia. 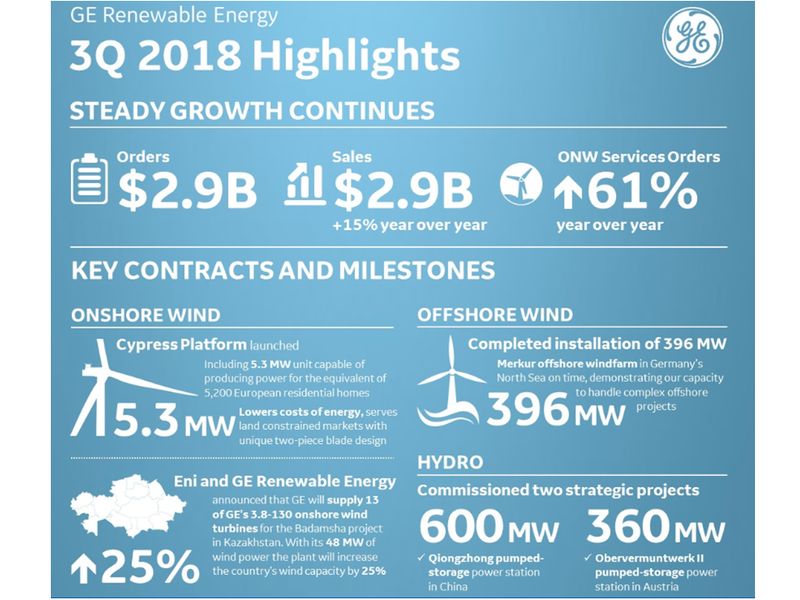 The first plant larger than 10 MWp was installed in 2016, and in 2018 the world saw the first several plants larger than 100 MWp, the largest of which is 150 MWp. Flooded mining sites in China support most of the largest installations (box 1). 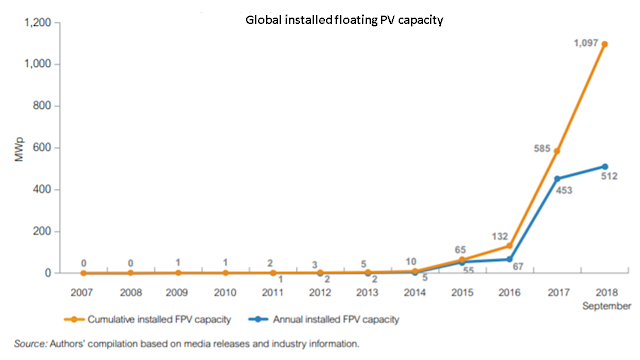 With the emergence of these new markets, cumulative installed floating solar capacity and annual new additions are growing exponentially (figure 3). Currently, even in countries with significant floating solar development there are no clear, specific regulations on permitting and licensing of plants. Processes for the moment are assumed to be the same as for ground-mounted PV, but legal interpretation is needed in each country. In some countries, drinking water reservoirs or hydropower reservoirs are considered national-security sites, making permitting more complex and potentially protracted. As highlighted in this report, floating solar deployment is expected to be cost-competitive under many circumstances and therefore not to require financial support. 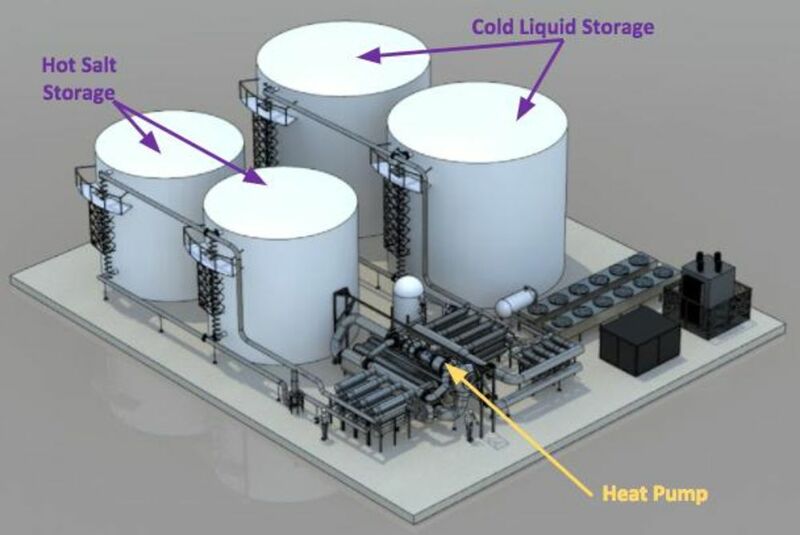 Nevertheless, initial projects may require some form of support to overcome barriers associated with the industry’s relatively limited experience with this technology. 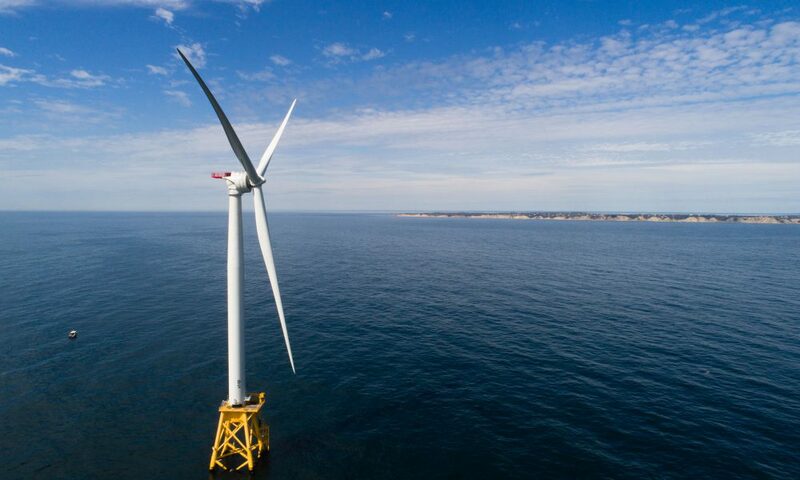 • Extra “adder” value for floating solar generation under the compensation rates of state incentives program (as in the U.S. state of Massachusetts). • Openness on the part of the entities managing the water bodies, such as tenders for water-lease contracts (as in Korea). 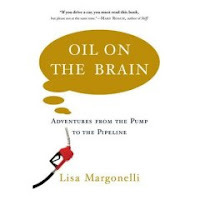 • Unique aspects of permitting and licensing that necessitate interagency cooperation between energy and water authorities. This also includes environmental impact assessments for floating PV installations. • Water rights and permits to install and operate a floating solar plant on the surface of a water body and anchor it in or next to the reservoir. • Tariff setting for floating solar installations (which could be done as for land-based PV, for example, through feed-in tariffs for small installations and tenders or auctions for large ones). 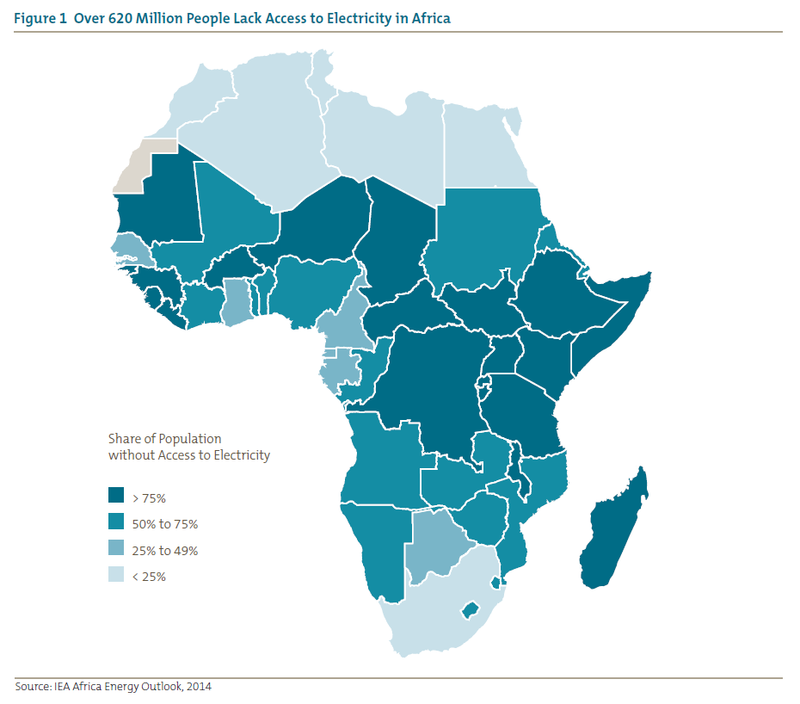 • Access to existing transmission infrastructure: – How will this be managed? – Who will be responsible? – What permits/agreements will be required? – Rules of dispatch coordination of the solar and the hydropower plants’ outputs. 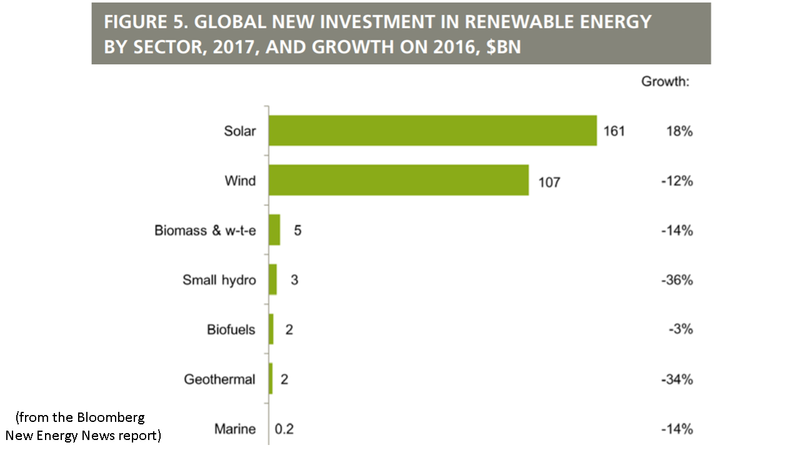 The deployment of floating solar looks set to accelerate as the technologies mature, opening up a new frontier in the global expansion of renewable energy and bringing opportunities to a wide range of countries and markets. With a global potential of 400 GW under very conservative assumptions, floating solar could double the existing installed capacity of solar PV but without the land acquisition that is required for ground-mounted installations. At some large hydropower plants, covering just 3-4% of the reservoir with floating solar could double the installed capacity, potentially allowing water resources to be more strategically managed by utilizing the solar output during the day. Additionally, combining the dispatch of solar and hydropower could be used to smooth the variability of the solar output, while making better use of existing transmission assets, and this could be particularly beneficial in countries where grids are weak. 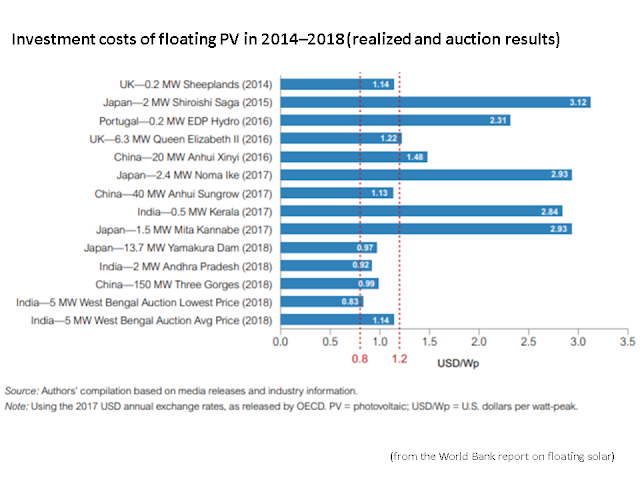 When combined with other demonstrated benefits such as higher energy yield, reduced evaporation, and improved water quality, floating solar is likely to be an attractive option for many countries. 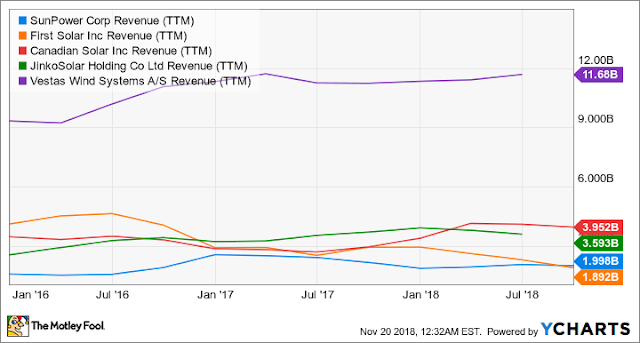 Although the market is still nascent, there are a sufficient number of experienced suppliers to structure a competitive tender and get a commercial project financed and constructed, and the additional costs appear to be low and are falling rapidly. The priority over the next few years should be to carry out strategic deployments of floating solar at sites where it is already economic, while applying the “precautionary principle” when it comes to possible environmental or social impacts. 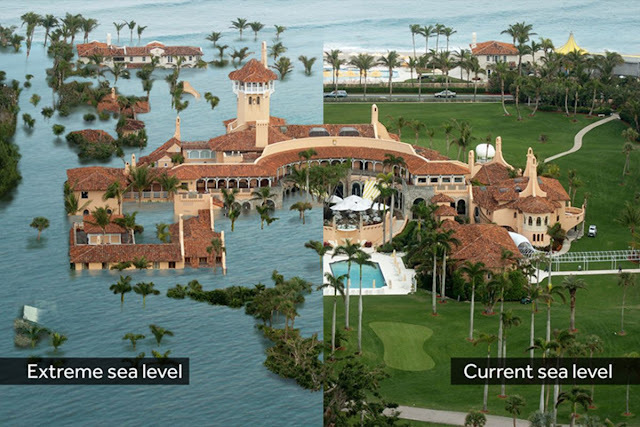 This may include initial limits on the portion of the water surface that is covered and efforts to avoid installations in the littoral zone near shore, where plant and animal life may be more abundant. In addition, development of the constituent technologies and knowledge of positive and negative impacts will be greatly enhanced if early installations are diligently monitored, which will entail some public expenditure. The need for monitoring, added to the possible additional capital costs of floating solar over those of ground-mounted systems, makes early installations in developing countries a strong candidate for concessional climate financing. To support market development, an active dialogue among all stakeholders, public and private, is required to further global understanding of floating solar technologies and to spread lessons learned from early projects across a wider area. 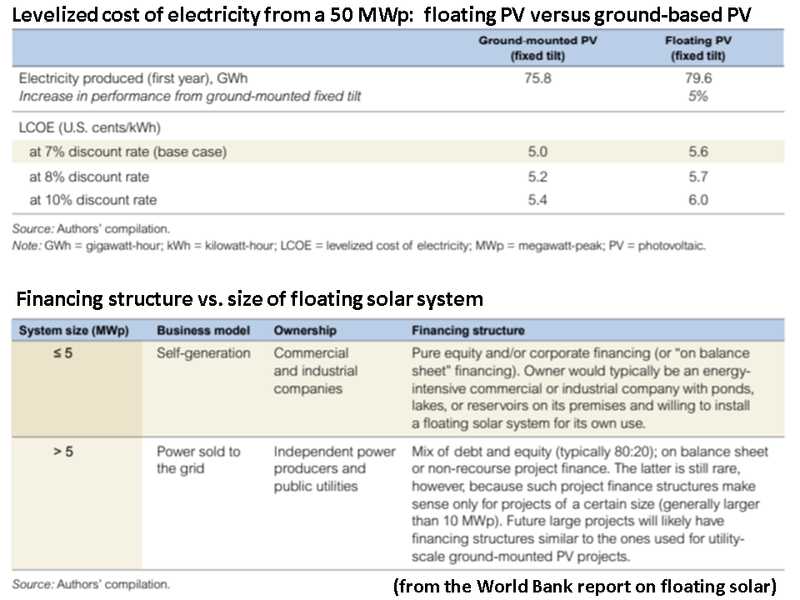 Through this market report and an upcoming handbook for practitioners, the World Bank Group and SERIS hope to contribute to this goal, and we look forward to working with governments, developers, and the research community to expand the market for floating solar by bringing down costs, supporting grid integration, maximizing ancillary benefits, and minimizing negative environmental or social impacts. GE Can Beat The Market With New Energy General Electric May Be Forced to Bet on Renewable Energy; With many legacy businesses crumbling, GE may see a rare bright spot in renewable energy.